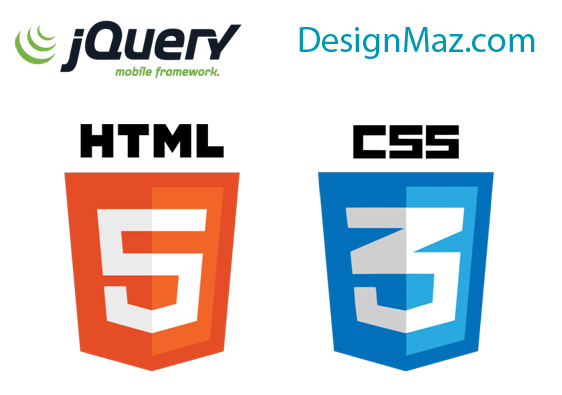 jQuery Mobile is a great framework and every great product needs a great looking UI. 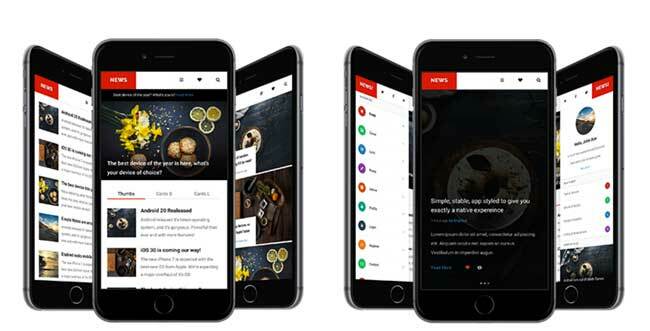 One of the main reasons everyone is developing mobile sites is because mobile themes are becoming extremely popular. 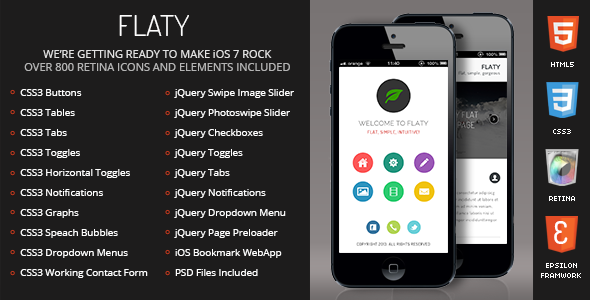 Check out our list of 30+ Best jQuery Mobile Web Templates and have some mobile fun! 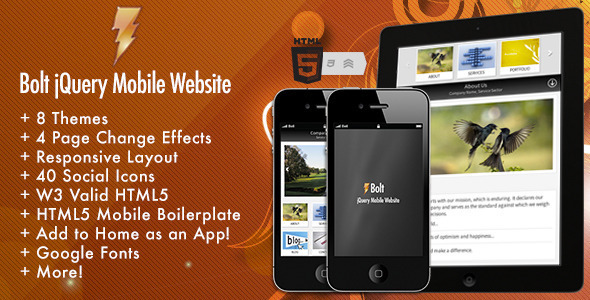 Bolt 3D is a Responsive HTML5 and CSS3 App template for Mobile and Tablet. 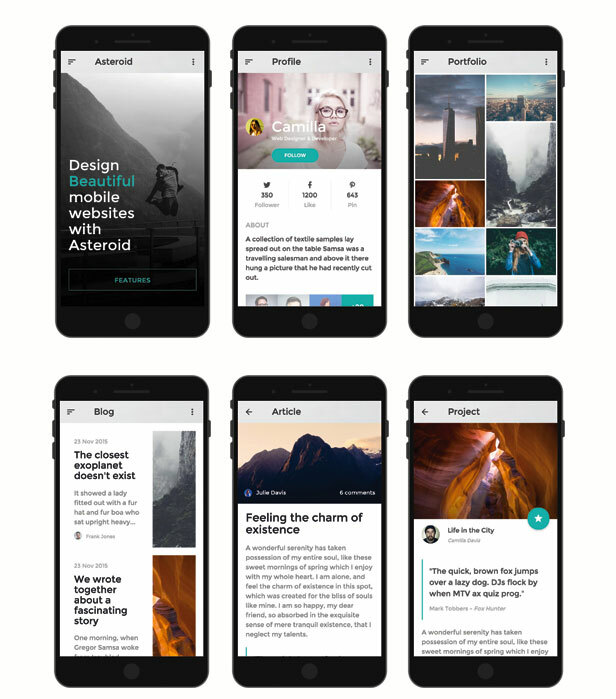 Bolt 3D includes more than 50 Page templates great for Store, News and Blog, plus AppStyled features and the classic pages any mobile template needs. 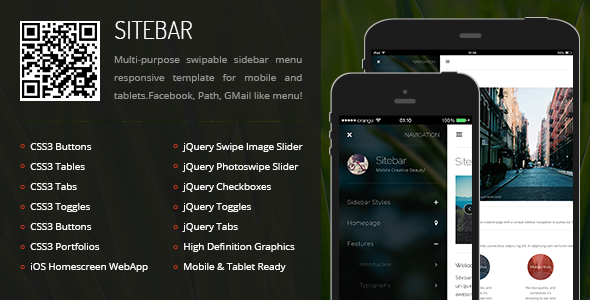 With 3D Dual Sidebar Effect for your delight including features that give your mobile device a native experience. 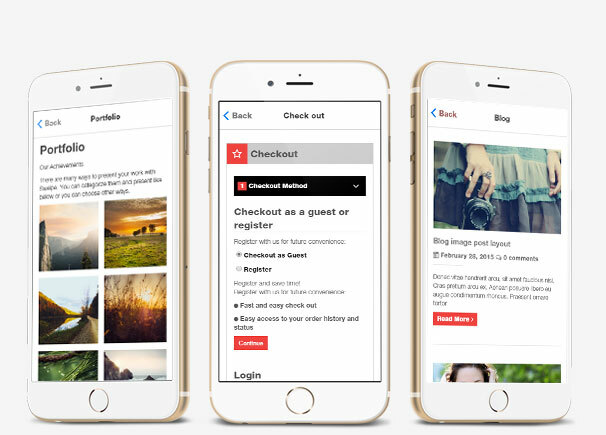 Mobile news is specifically HTML Mobile Template designed for your touch device, feeding you fast content with preloaded images and a design that feels alive. 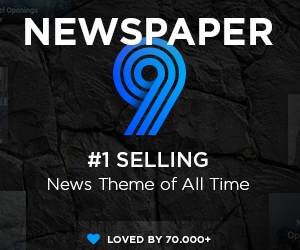 It includes 60 page templates withspecifically designed News style templates for content feeding. 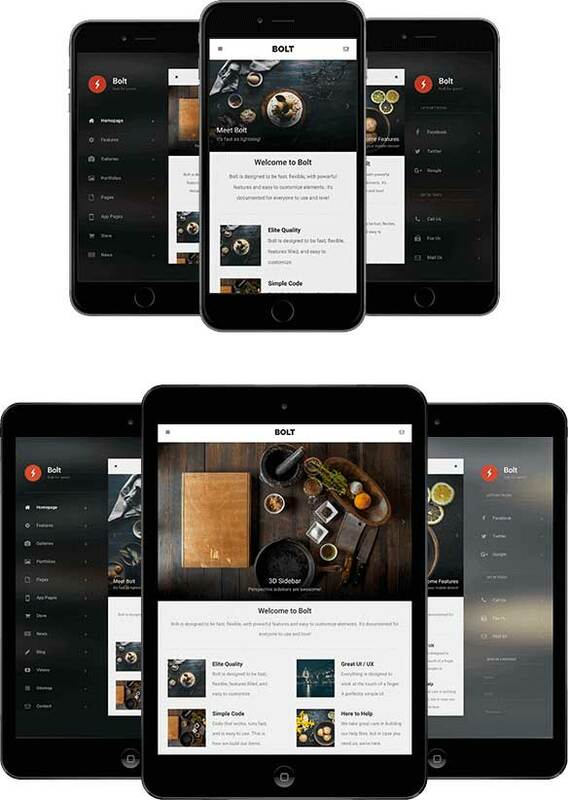 Eclipse is a HTML5 Mobile Template for create a mobile Web Sites like the Native App suits to any type of mobile device. Eclipse includes more than 40 Pages template with many features such as Ajax Loading, Fullscreen Menu, Image Filter, Masonry Layout and Additional Template without Ajax. 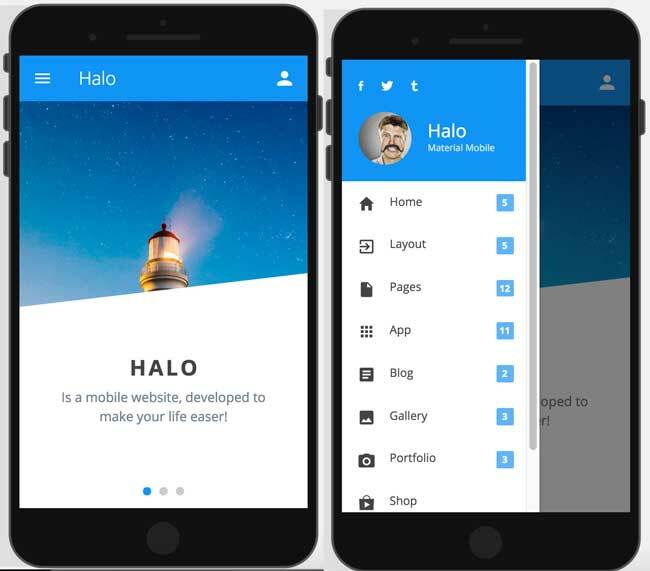 Halo is a HTML5 and CSS3 Mobile Template designed with Material Design Guidelines. 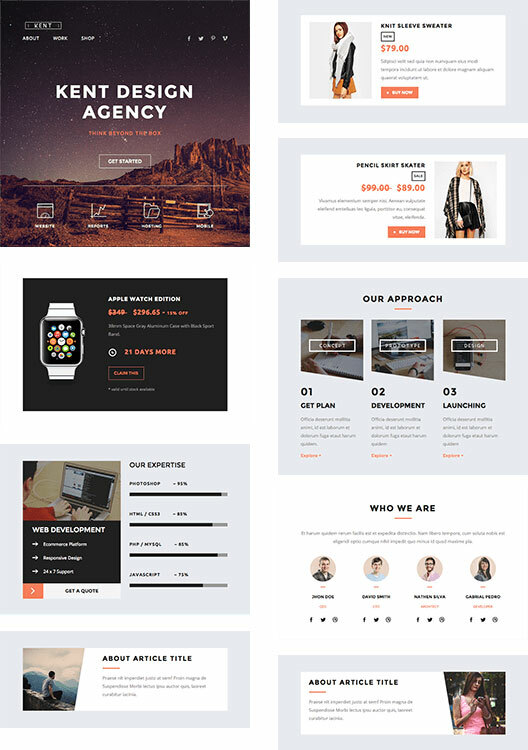 Halo inlcudes 45 page templates as Shop, Product & Checkout Pages, Blog & News Pages and features such as Ajax Loading, Draggable Sidebars, Image Filter, Masonry Layout and Additional Template without Ajax. 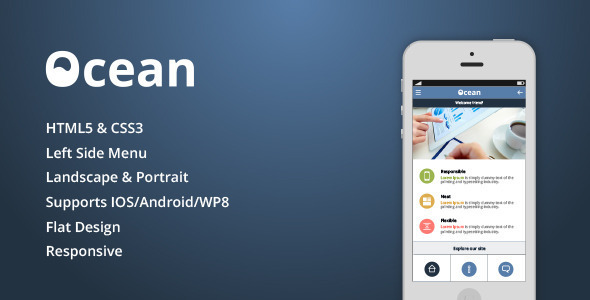 Manhattan is a HTML5 mobile template that will help you create a mobile website, a mobile web app, or a native app integrated with solutions like phonegap and Cordova. 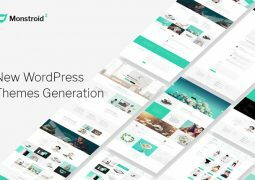 Includes a wide variety of elements pre-developed and designed; a very modern and stylish design and, on top of that, is using a flexible layout that will adapt to any mobile resolution. Multiple pages and design elements are included which will help you create anything you want on your website or app. 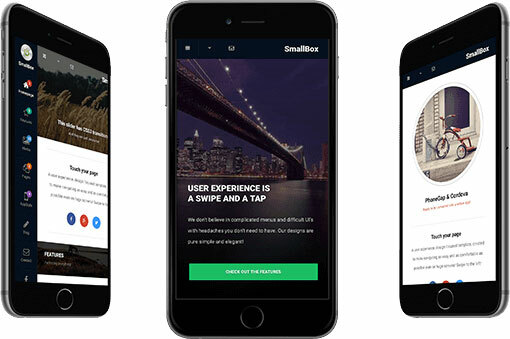 SmallBox is a HTML5 Mobile Template. 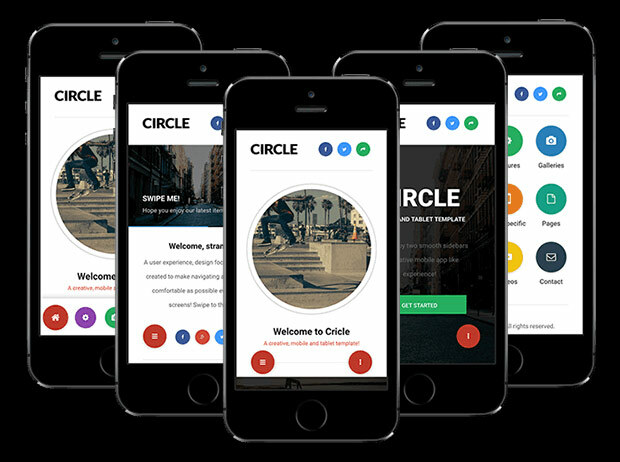 It’s different in every sense of the word, a round slider, 5 different menus to choose from, and 5 different homepages to choose from including a circular thumbnail styled one..
Codec is an HTML mobile template created for a mobile website, web app, and integrated with solutions like phonegap, for a real native app. 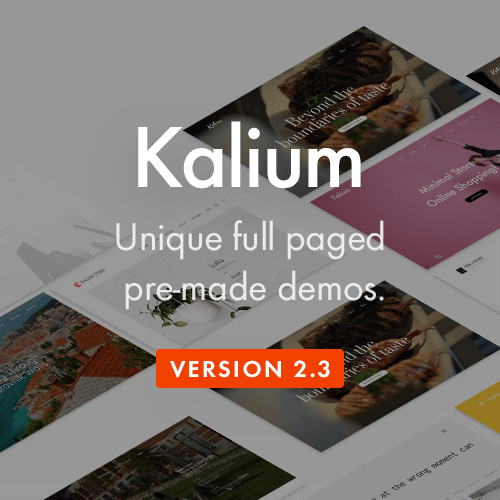 It is build using an original design concept, some amazing animations for elements and a perfect responsive code. 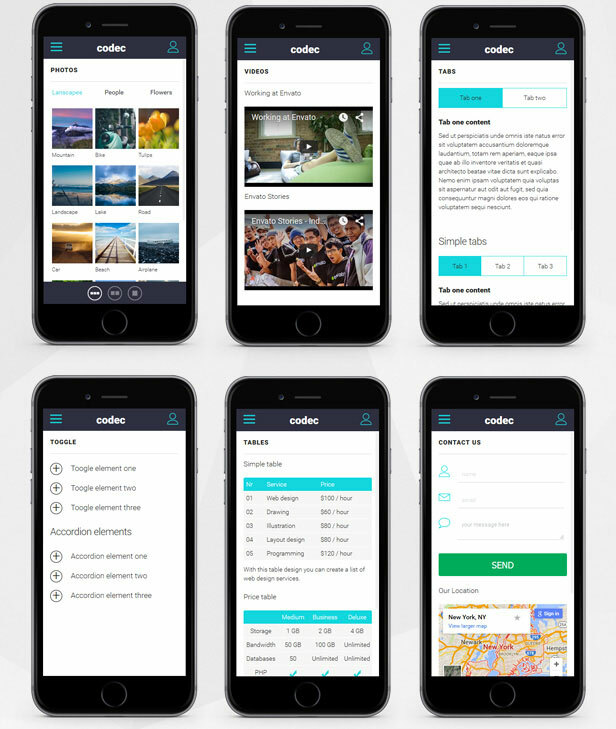 Satellite is a mobile template created to develop Web Sites and Web App. 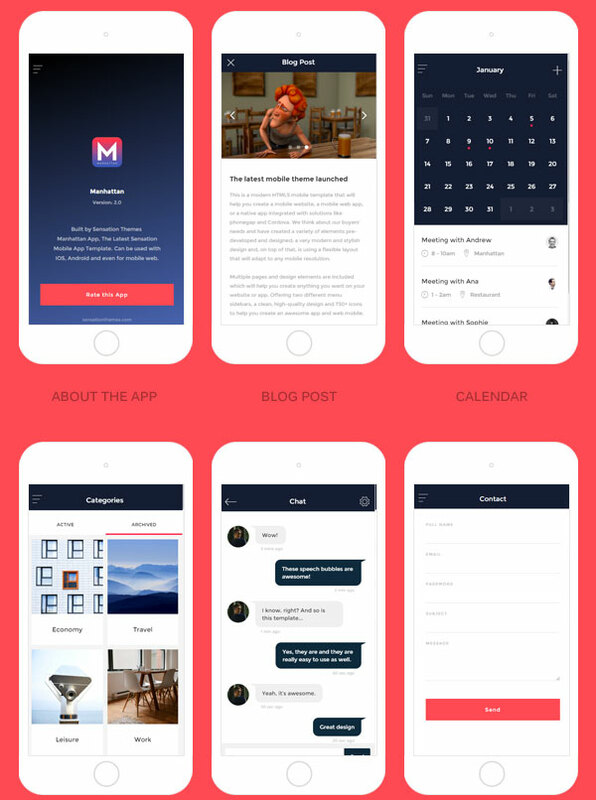 Thanks to a fluid layout, it suits to any type of mobile device. 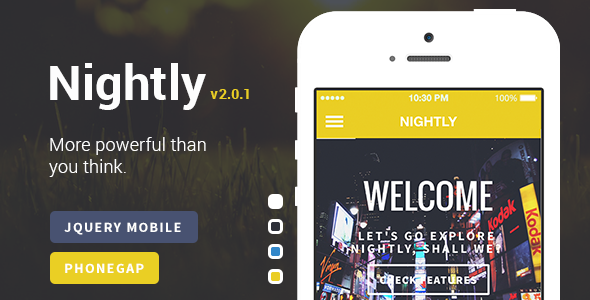 Nightly is a HTML5 template that runs on latest jQuery Mobile 1.4.5 framework. 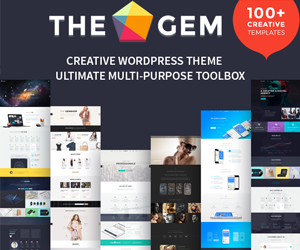 The latest version offers different color schemes, 2 sidebars, uses Font Awesome icons and with more than 20 HTML pages ready to help you with your development! 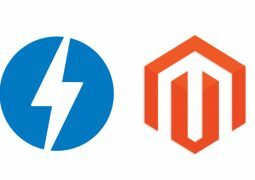 Your customers will never get lost with GPS tracking and if you like jQuery like I do, there are many external frameworks like Owl Carousel, iScroll plugin or device detection plugin used and working perfectly with Nightly. 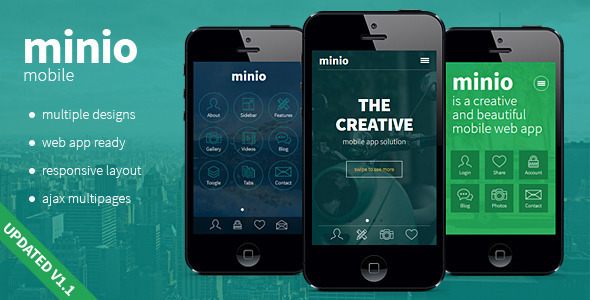 Minio Mobile is a mobile HTML/CSS template that will help you create a mobile website, a mobile web app, or a native app (integrated with solutions like phonegap). 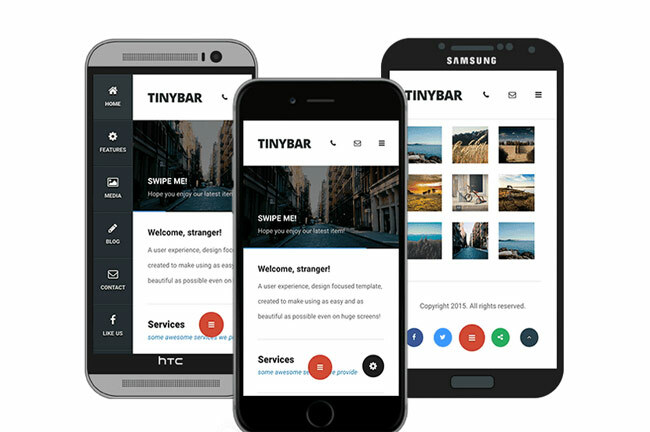 The mobile template is using a flexible layout that will adapt any mobile resolution. 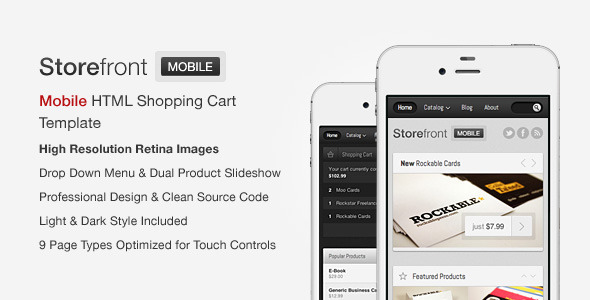 Includes multiple pages and design elements that will help in creating any section of your website or app. 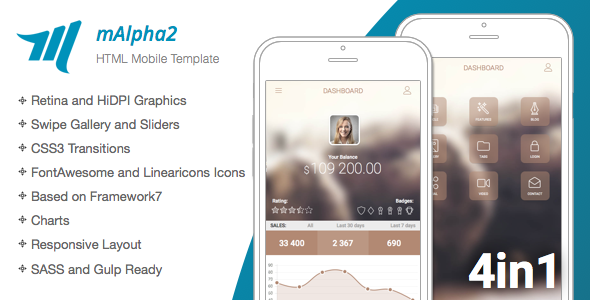 mAlpha2 Mobile Template with many effects, transitions, easy to customize, using canvas and mobile ready. 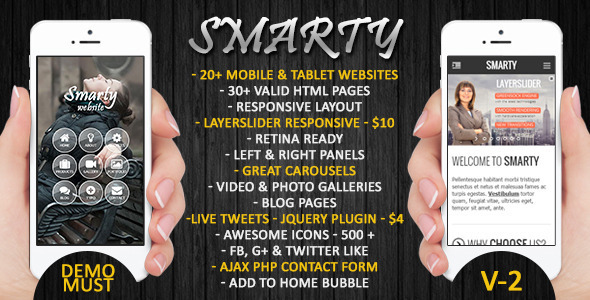 Smarty Mobile & Tablet Responsive Web Template [HTML5, CSS3] which is perfectly designed and developed for your business mobile website. 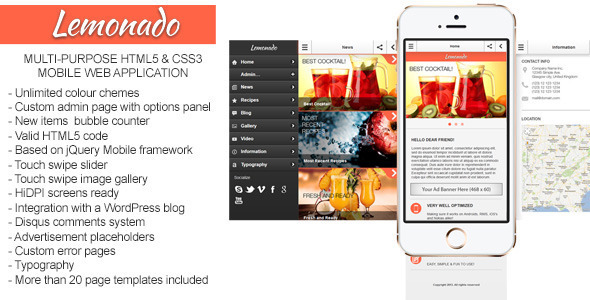 Ready to use HTML pages, Customization is really very easy… Mobile & Tablet Responsive Web Template [HTML5, CSS3]. 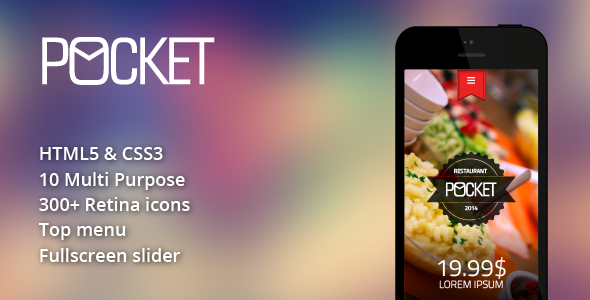 Pocket Mobile Template with many effects, transitions, easy to customize, using canvas and mobile ready. 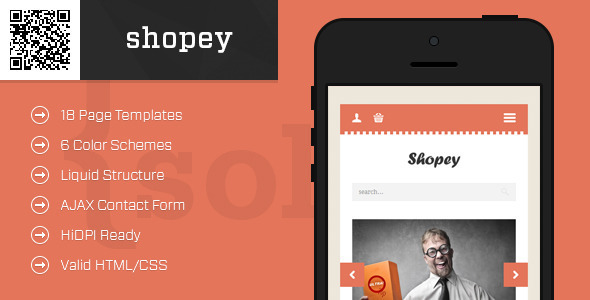 Sshopey” is a complete mobile eCommerce template, but also a portfolio template. 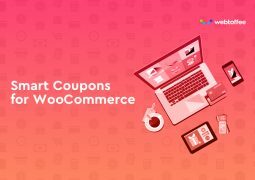 All the pages you would need to build a eCommerce website are included, and another 5 page templates for a portfolio template just in case you like the style but don’t want the eCommerce solution. 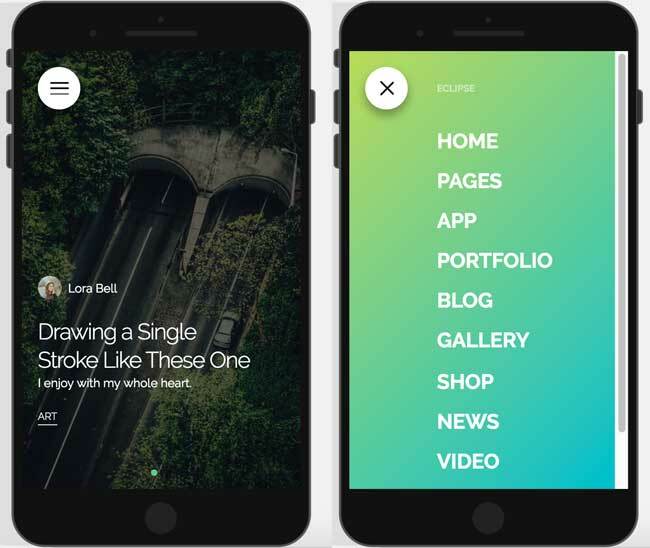 This mobile portfolio template adapts to any mobile device. It has no fixed sizes for specific devices, and runs on any screen size, and orientation. Ocean is a great mobile template. 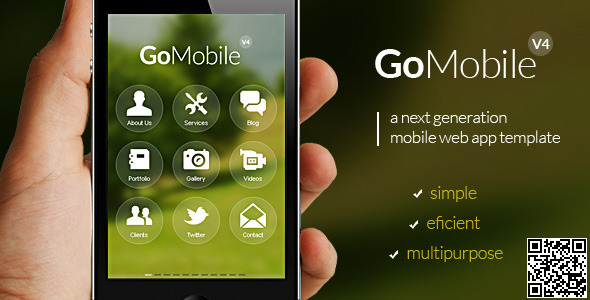 Go Mobile is our 4’th mobile theme after V1, V2 and V3. 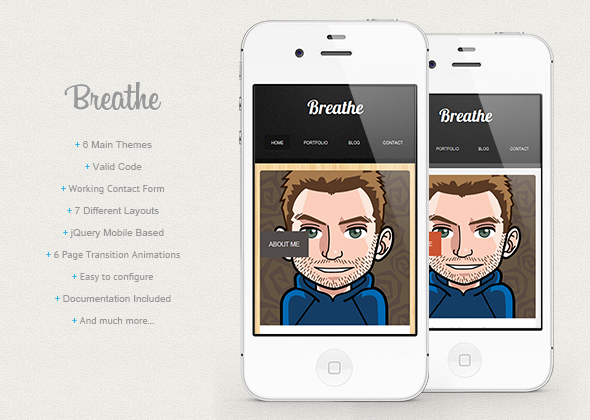 This V4 is the first one from our mobile themes that is actually a web app. 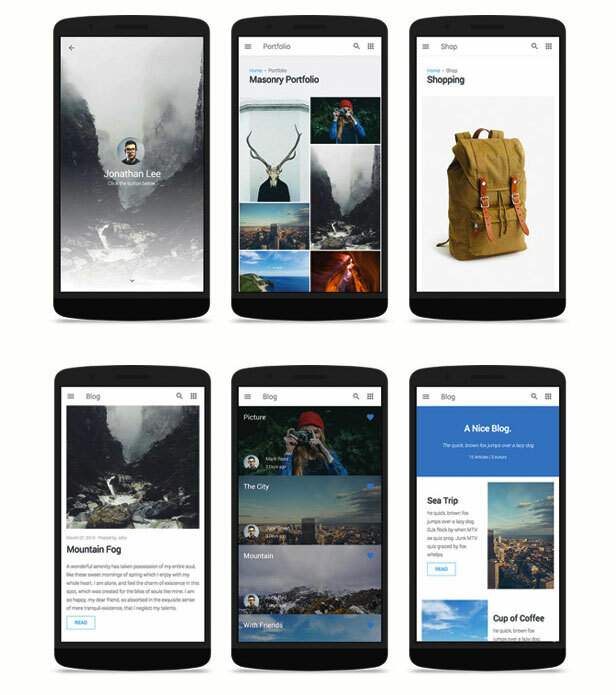 All content is inside one file that will make the theme behave like an app when browsing through pages. You can navigate using the menu icons or just by sliding from one page to another. This new version comes with a better design concept, a new functionality, improved code and some amazing features. More easy to customize and to create a new design style to suit your needs. It allready comes with 10 diferent styles included. Built on pure HTML5 and CSS3, ‘Bolt jQuery Mobile Website’ is a Retina Ready Liquid Design Website consisting of all important pages for a company. 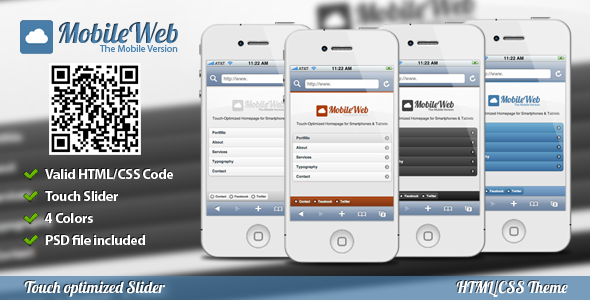 MobileWeb Mobile Theme is a HTML /CSS Touch optimized Theme for Smartphones and Tablets. The touchpad navigates the portfolio slider intuitive. 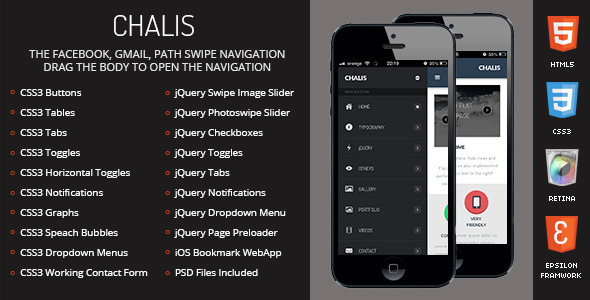 Chalis Mobile Retina is the most advanced and easiet to use mobile framework we’ve ever built! 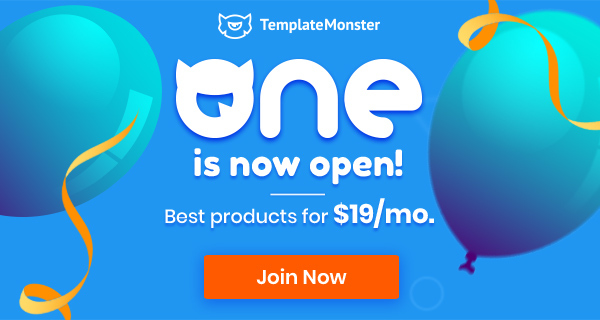 It’s made in such fashion that you’ll have all possible elements styled up for this specific template and all you’ll have to do is call them to your page! before. So wonderful to find someone with original thoughts on this topic.